The mission of the Alliance of Families for Justice is to support, empower and mobilize families with incarcerated loved ones and people with a criminal records so that they can marshal their collective power and bring about the social justice changes they want to see in the world. At AFJ, wives, husbands, mothers, grandfathers, daughters, aunties, uncles, and sons find comfort and an empathetic ear. The community is like an oasis for them. It is a place where they can share their pain without judgment and shed the shame they have harbored.Our vision is a politically and personally empowered network of united families who have healed from the trauma they have endured, and transformed their pain into power. By providing families support, AFJ tills the fertile soil where the seeds of hope and rejuvenation can sprout. In this way, the receptivity for empowerment is created, nurtured and optimized. Once they are empowered, family members can advocate on their own behalf and can mobilize others to do the same. Brooklyn Defender Services (BDS) provides multi-disciplinary and client-centered criminal defense, family defense, immigration and other civil legal services, social work support and advocacy to tens of thousands of indigent Brooklyn residents every year. Black Voters Matter Fund is committed to supporting and strengthening existing Black political infrastructure by providing resources, facilitating strategic partnerships and organizing support for grassroots mobilization towards the goal of long term power building. The Bronx Defenders is a public defender nonprofit that is radically transforming how low-income people are represented in the justice system. But we don’t stop there. We are reimagining and reforming the system itself. The Bronx Defenders provides zealous, client-centered advocacy to 27,000 clients in criminal, family, immigration, and civil matters each year and reach thousands more through our community intake and outreach programs. We take what we learn and launch innovative initiatives designed to bring about real and lasting change for the communities we serve. The Door’s mission is to empower young people to reach their potential by providing comprehensive youth development services in a diverse and caring environment. Since 1972, The Door has helped a diverse and rapidly growing population of disconnected youth in New York City gain the tools they need to become successful in school, in work, and in life. While we pride ourselves on offering all of our services under one roof, The Door is also focused on impacting the lives of young people throughout the city- and the world- and, as such, has served as a model for other, similar organizations locally, nationally, and internationally. As the needs of New York City youth continue to shift and change, we work hard to shift our services in response. The Drug Policy Alliance’s mission is to advance those policies and attitudes that best reduce and repair the harms of both drug use and drug prohibition, and to promote the autonomy and dignity of individuals. DPA envisions a just society in which policies regarding the use and regulation of drugs are grounded in science, compassion, health and human rights, in which people are no longer stigmatized or punished for what they put into their own bodies, and in which the racism, fears, prejudices and punitive prohibitions of today are no more. We work to challenge and dismantle laws, policies, and beliefs that are based in racism, prejudice, fear, and stigma. 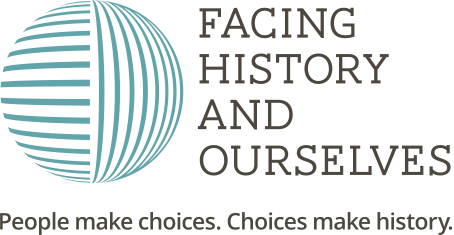 Facing History and Ourselves is an international educational organization that reaches millions of students worldwide every year. Using the lessons of history — and history in the making — Facing History equips teachers to provide students with the skills to think critically and wrestle with difficult issues. Teachers work closely with students to make personal connections between the past and their present. Our rigorous curriculum sparks their desire to look beyond themselves and participate in the broader world. We are creating future generations of engaged, informed, and responsible decision makers who when faced with injustice, misinformation, and bigotry, will stand up for justice, truth, and equality. Facing History transforms required lessons in history into inspired lessons in humanity to empower youth who will change the world for the better. The Fortune Society’s mission is to support successful reentry from incarceration and promote alternatives to incarceration, thus strengthening the fabric of our communities. Founded in 1967, The Fortune Society’s vision is to foster a world where all who are incarcerated or formerly incarcerated will thrive as positive, contributing members of society. We do this through a holistic, one-stop model of service provision. JustLeadershipUSA (JLUSA) is dedicated to cutting the US correctional population in half by 2030. On the guiding principle that those closest to the problem are closest to the solution, JLUSA empowers people most affected by incarceration to drive policy reform. The Institute for Innovation in Prosecution at John Jay College of Criminal Justice provides a collaborative national platform for prosecutors and the communities they serve to develop a new paradigm of prosecution, one that measures success not by conviction rates or plea conditions, but based on community-centered standards of safety, equity, and wellness. The National Lawyers Guild is the nation’s oldest and largest progressive bar association and was the first one in the US to be racially integrated. The NLG-NYC has a proud history. For over 65 years, the NLG has provided support for the struggles for racial justice, civil rights and workers’ rights. The NLG was the first organization to send lawyers to the South to support the fight for desegregation and voting rights; the NLG was the first national bar organization to oppose the Vietnam War.The mission of the chapter is to provide fellowship for those who seek excellence in the practice of law and who embrace a radical vision of economic, social and environmental justice. A core tenet of our practice is to provide mass defense to these movements and to victims of police repression. The New York Civil Liberties Union (NYCLU) is one of the nation’s foremost defenders of civil liberties and civil rights. Founded in 1951 as the New York State affiliate of the American Civil Liberties Union (ACLU), our mission is to defend and promote the fundamental principles and values embodied in the Bill of Rights, the U.S. Constitution and the New York State Constitution, including the rights to freedom of speech, privacy, equality and due process under the law. We fight for civil liberties and civil rights through a multi-layered and integrated approach of impact litigation, legislative advocacy, public education and community organizing. The NYCLU strives to apply a human rights framework to address meaningful access to education, criminal justice reform, immigrants’ rights, racial justice, women’s and reproductive rights, LGBT rights and gender equality. The Osborne Association works in partnership with individuals, families, and communities to create opportunities for people affected by the criminal justice system to further develop their strengths and lead lives of responsibility and contribution. We design, implement and advocate for solutions that prevent and reduce the damage caused by crime and incarceration. The Legal Aid Society exists for one simple yet powerful reason: to ensure that no New Yorker is denied their right to equal justice because of poverty. For over 140 years, we have protected, defended, and advocated for those that have struggled in silence for far too long – working on the front lines and behind-the-scenes to offer our clients the exceptional legal services they deserve. Through our Civil, Criminal Defense, and Juvenile Rights Practices, we offer an unmatched depth and breadth of legal expertise to vulnerable New Yorkers, no matter what legal challenges they may face. Every day, in every borough, The Legal Aid Society tenaciously defends the rights of our clients, passionately advocates on their behalf, and tirelessly pushes for essential reforms in the justice system to improve lives and strengthen communities. Every year, The Legal Aid Society handles over 300,000 legal matters, benefiting thousands of New Yorkers. As the largest social justice law firm in the nation, our 2,000 staff members work tirelessly across all of our units to ensure our clients receive the highest quality representation. Legal Services NYC (LSNYC) is the nation's largest provider of free civil legal services. For fifty years, our advocates have helped low income New Yorkers get and keep the essentials of life: shelter, safety, stable incomes, and access to education and health care. We fight discrimination and help to achieve equality and justice for all New Yorkers. Our staff of over 500 advocates in all five boroughs serves over 100,000 low-income New Yorkers annually. MomsRising combines the best of American innovation and ingenuity. We are a transformative on-the-ground and online multicultural organization of more than a million members and over a hundred aligned organizations working to increase family economic security, to end discrimination against women and mothers, to fight racism, sexism and xenophobia, and to build a nation where both businesses and families can thrive. We are committed to advancing policy and cultural change that make the world a better place for all moms and families. Race Forward: The Center for Racial Justice Innovation united with Center for Social Inclusion in 2017 to become the new Race Forward. Founded in 1981, Race Forward brings systemic analysis and an innovative approach to complex race issues to help people take effective action toward racial equity. Founded in 2002, CSI catalyzes community, government, and other institutions to dismantle structural racial inequity and create equitable outcomes for all. The new Race Forward is home to the Government Alliance on Race and Equity (GARE), a national network of government working to achieve racial equity and advance opportunities for all. Race Forward publishes the daily news site Colorlines and presents Facing Race, the country’s largest multiracial conference on racial justice.